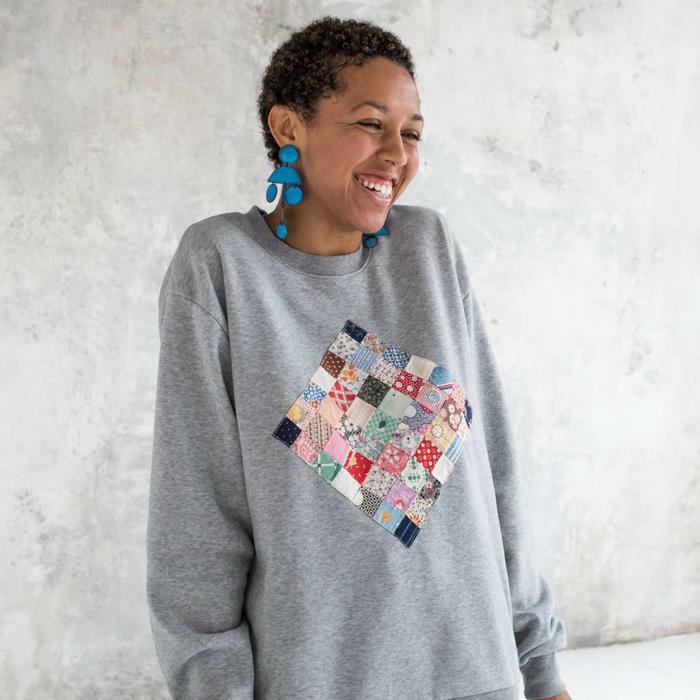 Vintage grey sweatshirt with one of a kind patchwork quilt attached. You can live in this well lived in piece for years to come. 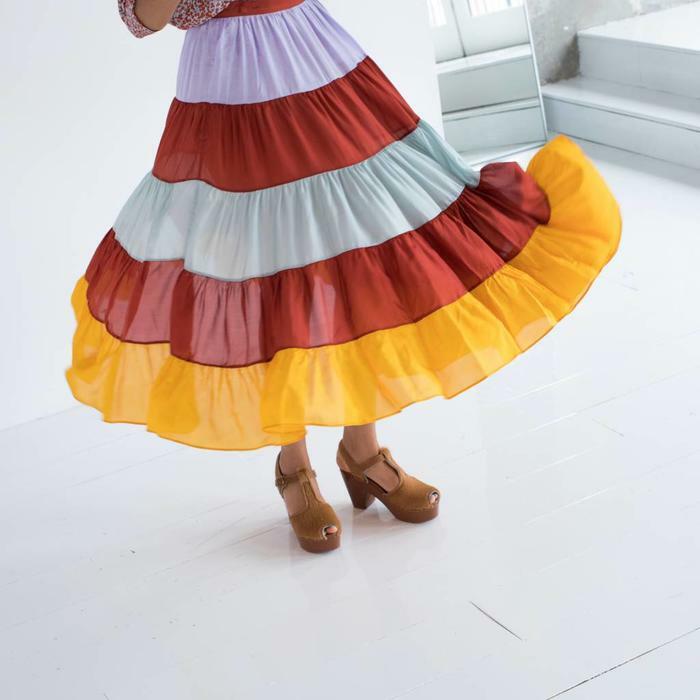 100 % silk patchwork broom skirt. Dress this timeless beauty up with heels or pair with sweatshirt and sneakers. Total length from waist to hem is 34". Fitted waist that runs true to size. Fitted button-up blouse in lightweight 100% cotton, plaid with bandana designed collar. Single button at cuff. Made in the USA. Two Tone Sage jeans by Carleen. 100% cotton. This slim fit holds you in, but eases up in all the right places with repeated wear. 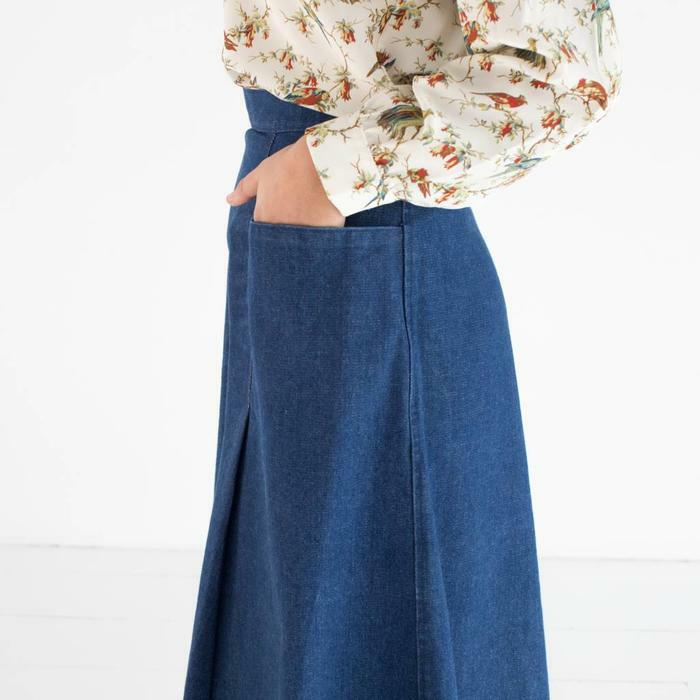 A-line denim skirt with dramatic pockets. Runs small in the waist, order 1/2 size up. 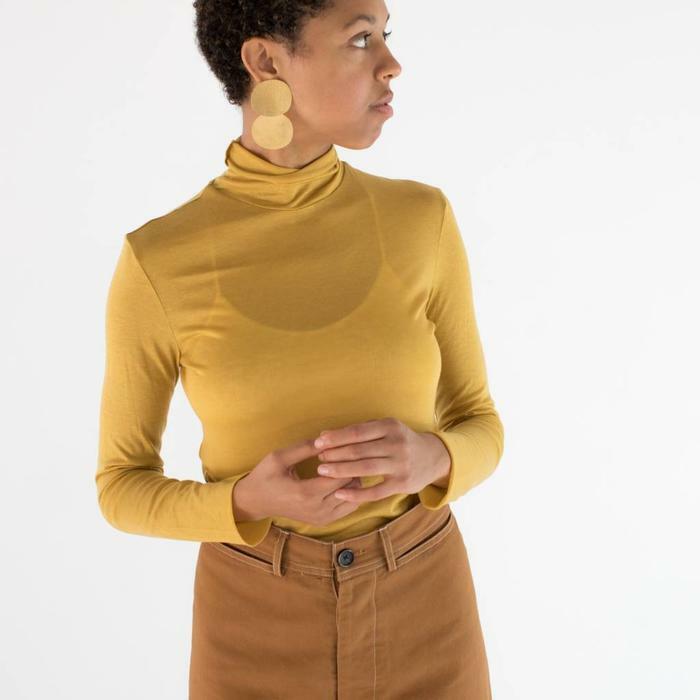 Gold wool jersey lightweight turtleneck by No. 6. Patent leather snap front skirt by No. 6. Hits right below the knee. Great with tights or socks & clogs! Crossover, tie front long top with pleated waist. Dolman styled, 3/4 length sleeved. Narrow sleeves. Inside button and loop closure. Relaxed fit. High-waisted 5 pocket jeans in light wash cotton denim. Cropped, straight leg, front zip and button closure. Made in the USA. 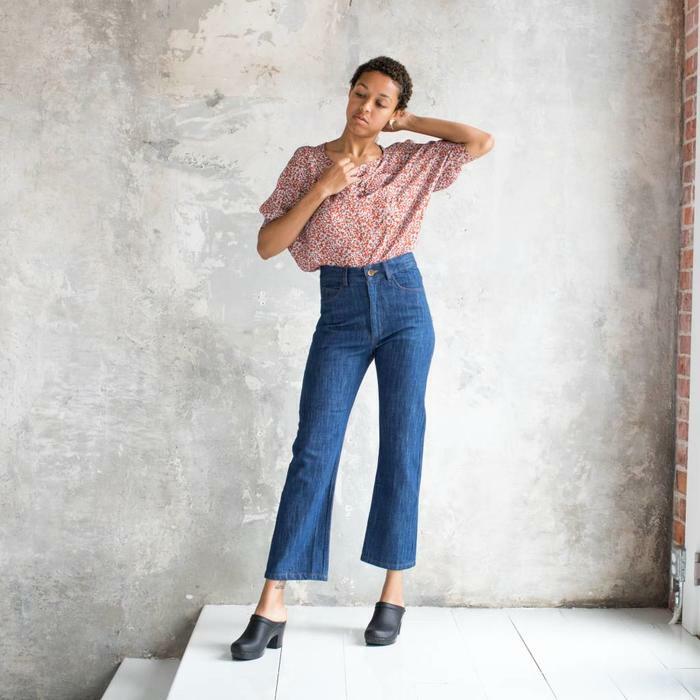 High waisted and slightly cropped in length with self covered buttons up the center front in a light denim. Runs on the smaller side. High waisted 5 pocket, straight leg jeans are a new classic! The back pockets are embroidered with Violin shapes. 100% cotton lightweight denim.